Conventional wisdom says dorsal straps for ankle foot orthoses should be positioned at a certain angle to resist heel rise. Now preliminary research from Georgia Tech is calling that practice into question, but not all clinicians are convinced that the findings warrant a different approach. Practitioners worldwide for years have positioned dorsal straps for ankle foot orthoses at a 45° angle to the bony structure, even though there was no research to support this practice. Now researchers from the Georgia Institute of Technology in Atlanta are initiating a discussion about whether that angle is actually the ideal placement from a biomechanical perspective. But, a few years ago, Georgia Tech researchers decided to challenge the status quo. 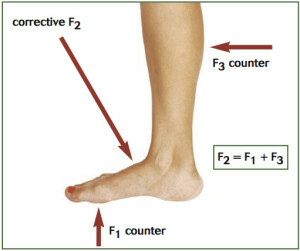 They questioned whether 45° really is the ideal placement for resisting heel rise, which can cause blistering and ulcers. 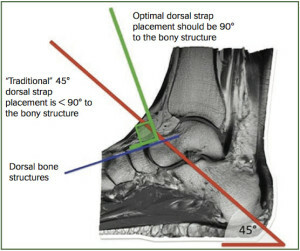 Straps were positioned at 80°, 90°, and 100° from the dorsal line on Manee’s cadaveric model, which was designed to mimic heel rise within the AFO and not necessarily the heel rise phase of gait. Therefore, it’s possible the results don’t transfer to a walking scenario, Manee said. Although Georgia Tech researcher Géza F. Kogler, PhD, CO, who worked with Manee on his initial study, said the tendency for the heel to rise is greatest during the swing phase of gait, Thomas V. Dibello, BS, CO, currently in private practice at Dynamic Orthotics and Prosthetics in Houston, TX, where he is the owner and chief executive officer, said this can occur at any phase of gait. The goal, Dibello said, in any lower limb orthosis is to keep the patient’s heel seated in the heel of the device. 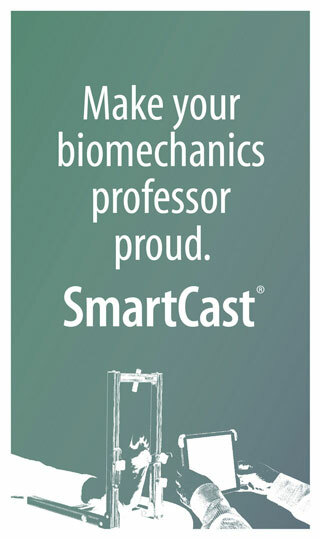 Kogler, who is the director of the Clinical Biomechanics Laboratory in the School of Applied Physiology at Georgia Tech, has expanded on Manee’s pilot study to further determine the optimal angle and longitudinal axis placement to minimize pistoning within an orthotic device. The results, he concluded, were about the same. In the expanded in vitro cadaveric study, researchers used nine test conditions to quantify the force of a dorsal control mechanism. 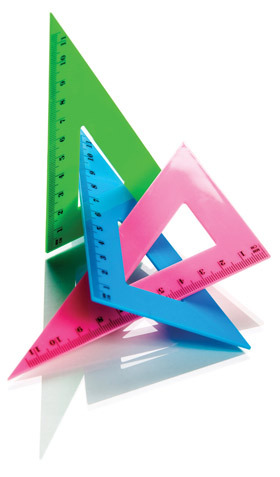 They used three angles (75°, 90°, 105°) and three longitudinal axes at 2-cm increments. The longest lever arm (proximal location) applied at an obtuse angle (105°) required the least amount of force (55.6 N) to limit foot motion, whereas the shortest lever arm (distal location) at the acute angle (75°) required the greatest force (90.4 N) to limit foot motion. 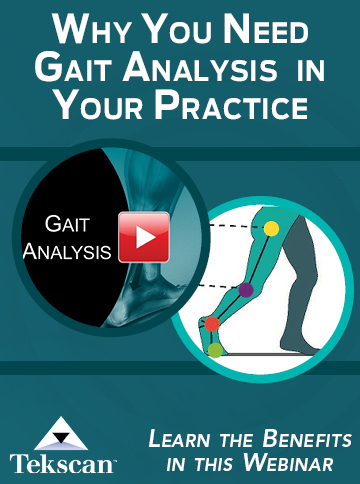 Although the talus served as the proximal longitudinal axis position, Kogler said it was important that clinicians be aware that the foot’s dorsal surface does not necessarily represent the orientation of the underlying bony structure. The soft tissue structures traversing the foot may impede optimal control of heel rise within an orthotic device, so practitioners should consider a clinical assessment of the anatomy at the location of the orthotic constraining force (ie, the dorsal foot strap). Instead, with no scientific studies to refer to, orthotists have used their experiences to determine how to improve fit, comfort, and function related to orthotic control of heel rise in lower limb orthoses. The clinical relevance of the Georgia Tech research, Kogler said, is its finding that a dorsal foot control strap with proper placement and angular orientation can provide maximum function and comfort to users. Some practitioners, like Dibello, stressed that studies such as this one are vital in developing evidence to support improved practices. The implications of initial studies are not always immediately apparent or applicable to what is happening in clinical practice, however, and some practitioners questioned aspects of the study, including the use of cadavers. “With all of the digital technology and electrode placement advancements that we have today, I do not understand why this was carried out using a cadaver,” Jinright said. The study authors explained using cadavers was necessary to isolate the foot movement, and that in research, investigators have to control variables to gain new knowledge. Another test aspect that practitioners questioned was the cylindrical aluminum bar that was used in the mechanical testing apparatus instead of an actual strap, which could potentially distribute the forces differently in a clinical setting. The researchers explained the bar needed to be rounded for their experiment because, as they turned the force applicator to test the various angles, the point of application needed to remain the same. Dibello said using a nondeflectable material makes sense at this point, in this type of analysis, as it eliminates a variable. Both the authors and practitioners acknowledge further research is required and that this study was designed to lay the groundwork for further investigation. 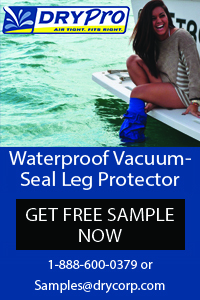 “I would encourage the author to advance the study to human subjects, and then eventually various strap material configurations,” Dibello said. Another practitioner also suggested using an AFO on people. But Manee explained that some of the forces used in the research could not have been applied to a human. For this preliminary study, using a real AFO with real straps was not feasible, Manee said. Although therapeutic shoes also use dorsal straps, the new findings about dorsal strap placement on AFOs may not apply to footwear. Manee acknowledged that a shoe can disperse the controlling force along the entire dorsum and, as such, is a different animal. Comfort is a key factor in patient compliance. If patients are in discomfort, for example, feeling pressure on underlying foot tendons, they may loosen their AFO straps, which makes the device less effective. “If you try to position the patient into a range of motion that they cannot functionally achieve, they will have tendon irritation from the strap, as well as increased motion or ‘pistoning’ within the AFO,” Jinright said. Dibello, however, theorized that if the length of the resistant lever is maximized and the force applied accurately, that should minimize pressure at that point. Manee was less inclined to think that patients fuss with their straps. An area in which practitioners seemed to agree was that the size and strength of the patient doesn’t matter with regard to strap placement. The thickness of the plastic or the rigidity of the material should compensate and accommodate for the patient’s size and perceived strength. “I think it would be logical that, as the patient’s height increased, I would expect his foot length to also increase, so to use the formula described here would optimize the placement of the strap regardless of the size of the patient,” Dibello said. There are a multitude of other issues surrounding strap placement, including how the ends of the strap are attached to the device, the type of material used (eg, plastic, carbon fiber), the design of the device (eg, solid, hinged). For example, the AFO design might dictate where the strap goes since the attachment point has to be in a place where it can be secure, not cause discomfort to the patient, and avoid ankle joints. Those factors were outside the scope of the current Georgia Tech study, but may be addressed in future ones. “Now that we know the angle and we know that the anatomy is a key role in that measurement, which is the biggest finding that we had—or let’s say something that wasn’t as intuitive to us clinically before the study we’ve done—now I can start there and continue with this line of research,” Kogler said. He pointed to another set of conditions—replacement of the steel bar, for example, or the influence of the surface area, foot geometry, or tendon tightness in front of the ankle—that will need to be examined. “All of these variables come into play with us as clinicians and all of those will have to be addressed. But there will be additional studies that will be a follow-up to this,” Kogler said. For example, he doesn’t believe current strap utilization, while cheap and functional, is optimal. “I think there is a better system to limit the movement,” he said. Kogler theorizes that an interface that more closely matches the anatomy of the individual user, perhaps a custom half shell, would be optimal. He also said research must address understanding how that force is applied through the anatomical structures, ie, tendons, in front of the ankle. Because of the limitations of this study, Kogler is eager to continue to investigate to find the best way to control foot movement inside an AFO. In their next study, Kogler and colleagues will look at the anatomy and make a device that contours over the dorsal aspect of the foot and ankle. The AFO would be the same as the devices used in the earlier studies, but the strap might have a custom-made pad or curved plastic. 1. Manee T. Optimal dorsal strap placement and angulation to prevent pistoning in an ankle foot orthoses. Presented at the American Orthotic and Prosthetic Association National Assembly, Las Vegas, September 2011.